The Costa Blanca is one of Spain’s biggest holiday resorts with the most famous Spanish resort of Benidorm situated in this Costa. The vast majority of our all inclusive properties are featured in Benidorm although we do have all inclusive hotels in Calpe and Albir. Having the Euro as it’s local currency, the price of meals, drink and snacks in Spain is not as cheap as in the past so booking an all inclusive could prove to be a wise move, with the all inclusive board basis including all meals and local drinks. Many properties also include snacks and entertainment giving you even more value for money. In Benidorm, you will find a selection of properties that form a chain of hotels called the ‘Magic’ group. If you book into one of the ‘Magic’ hotels not only are your meals and drinks included in the price but you can also make use of the all inclusive facilities at any of the other ‘Magic’ hotels within Benidorm. 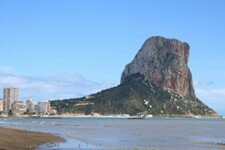 Book your all inclusive holiday to Costa Blanca today with UlookUbook.